BIO BLOCKS are environmentally friendly, no trees are harvested. 100% recycled kiln-dried hardwood. Chefs rely on BIO BLOCKS to maintain a hot, consistent temperature. 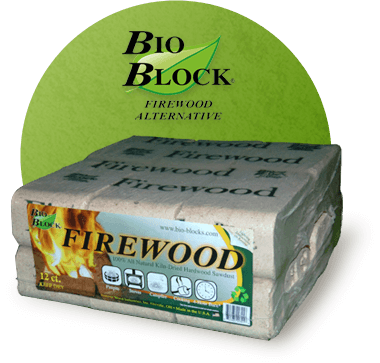 BIO-BLOCKS are made of 100% recycled, kiln-dried hardwood sawdust, compacted under high pressure, to form a wood briquette. Wood contains lignin, a natural binder under pressure, which means that no additives or chemicals are necessary. BIO-BLOCKS are environmentally friendly, creating minimal smoke, ash or creosote. 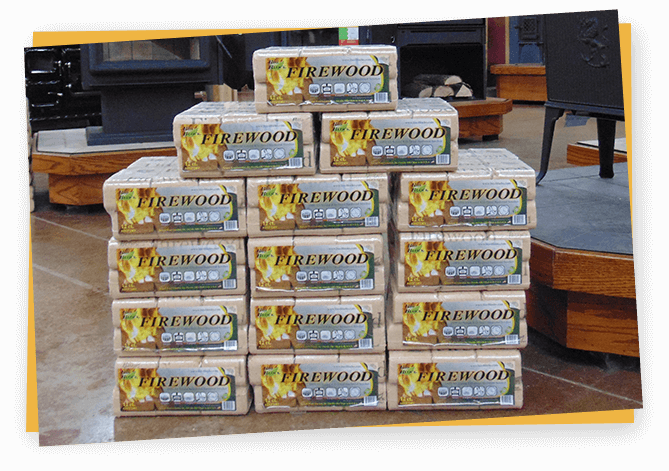 Wood briquettes can be used in any wood-burning device providing a clean, convenient alternative to traditional firewood. I’ve found that BIO BLOCKS burn hotter, better and have less creosote then other sawdust blocks that I’ve tried. I build a fire often with my girls. What I love about BIO BLOCKS is that I can do a double decker fire. It has a consistent burn and is an amazing product. I’ve tried tons of products and nothing works like BIO BLOCKS! Burns better then competitive product – it’s more compact, burns hotter and cleaner – less ash. I use daily in my fireplace insert for heating my home. Spring is a perfect time to put a game plan in place for how you would like to heat your home next winter. Click on the picture to watch our new YouTube video! 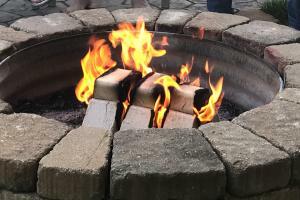 Learn how to properly burn BIO BLOCK Firewood. Where can I use BIO BLOCKS? 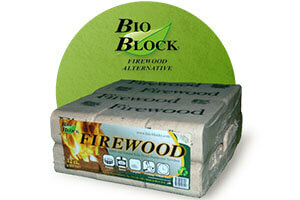 BIO BLOCKS can be used any place you would use traditional firewood. Pizza Ovens – Used by both Chefs in restaurants and individuals who have smaller wood-fired ovens. BIO BLOCKS are very versatile. No additional modifications are needed when used in a wood stove. It can be used alone or mixed with firewood. Note: BIO BLOCKS cannot be used in a pellet stove. 13 of 14 found this answer helpful. 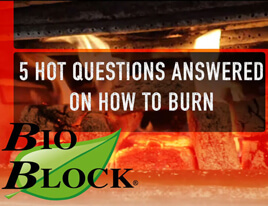 Can BIO BLOCKS be used as a fire starter? BIO BLOCKS are compacted too tight to light with a match. It is designed as a replacement for firewood but is not considered a fire starter. We suggest starting your fire with a BIO BLOCK Fire Starter. 2 of 3 found this answer helpful. How do I ignite BIO BLOCKS? Stack four BIO BLOCKS in a teepee. Leaving a one inch space, build a second teepee of four in front of the first. Divide a BIO BLOCK Fire Starter into four pieces. Place one piece in the center of the teepee and ignite. Establish a strong burn before adding additional BIO BLOCKS. 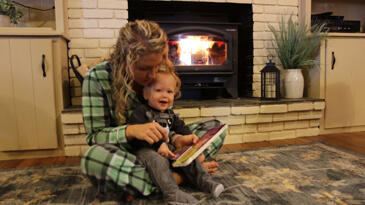 After your fire is established, the damper on your wood stove can be adjusted for a long, slow burn. Place four BIO BLOCKS flat in a wood burning device, leaving a space between blocks for airflow. Place three BIO BLOCKS over the spaces making a second row. Place one BIO BLOCK on top to complete your pyramid. Place one piece in the center and ignite. Note: BIO BLOCKS are not fire starters. Because BIO BLOCKS are tightly compressed and do not contain chemicals, or any binder, the blocks will not ignite by holding a match or torch directly to a block! Are BIO BLOCKS economical to use for home heating? You will receive what you pay for every time. There are always 88 packs of BIO BLOCKS on a pallet, which equals one ton. The measurements of firewood can be questionable if sold in quantities less than one cord. BIO BLOCKS have a moisture content of 8.5% according to research at the University of Buffalo in New York. This accounts for the long, hot burn of BIO BLOCKS. Firewood is considered dry at 20%. One ton of BIO BLOCKS = 1 1/2 cords of firewood. The consistent size, low moisture, tight compression and blend of kiln-dried hardwoods provides approximately 14 – 18 Mil BTU’s per ton. BIO BLOCKS provide a warm, even heat. Never worry about what the thermostat is set at again! 11 of 14 found this answer helpful. BIO BLOCKS are much like a large wood pellet, however, they are more versatile! A special stove is not required to burn compressed wood blocks. 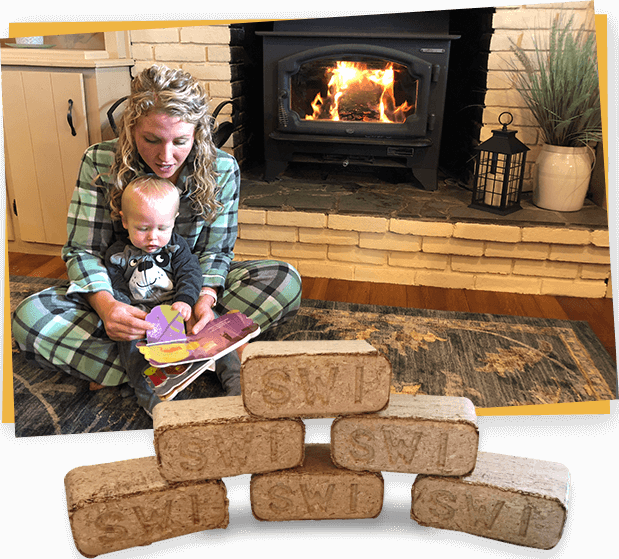 BIO BLOCKS can be used in your current wood stove, wood burning fireplace, or insert. When you burn BIO BLOCKS…. Founded in 2000, by Gary and Victoria Miller, as a wholesale, millwork manufacturing company. After more than a decade of business, our desire to find a creative use for sawdust, our by-product at the time, and an interest in alternative energy, led to the purchase of our first wood briquetting machine.